Though PDF files are a good source of reading, well side by side editing, or sharing process is not easy. Also, if you are going to represent your document, information, or data online through web pages, then it will become hard to upload them to websites via links. Therefore the need of PDF to HTML conversion arises. So that the content will become available anywhere, anytime. PDFelement ProPDFelement Pro is a secure way to convert your PDF files to HTML. Provide simple step by step guide that is easy to apply. It is a good source to convert, edit, or secure your PDF files in a simple and fast way. Also, provide batch processing to avoid any watermarks in your PDF files. Easily convert PDF to Excel, PPT, Images and convert multiple PDFs in batch. Advanced OCR tool allows you to convert and edit scanned PDF easily. Edit PDF text, images, links and other elements with multiple PDF editing tools. Free PDF to HTML is fast and reliable software program used to convert PDF to HTML pages in an easy way. Multi page PDF documents will get translated into single HTML page or single PDF page into multi pages of HTML. This software provides interactive GUI user interface that makes it easy to operate. Pros: Downloading process is easy to follow and works fine. Cons: As per users, it asked to install 5 additional programs in addition to this. 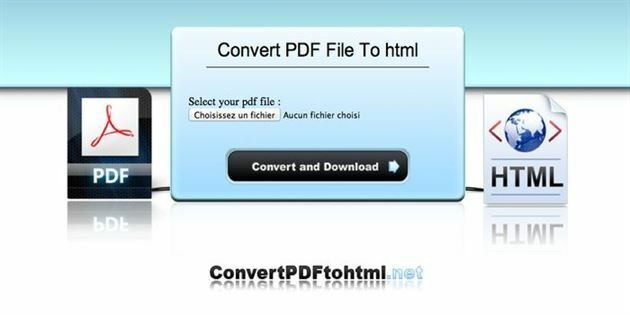 PDFMate Free PDF to HTML Converter provides easy to use and operate, no technical knowledge is required to use this converter. Keep the quality of the content during the conversion process. It is Compatible to convert with all the advanced version of HTML. Conversion process goes through advanced settings that cover image quality, hyperlinks etc. Conversion process and documents are available in multi-language. Free customer service, and Lifetime software upgrade facility. Cons: Offline version is not available. Kvisoft PDF to HTML Free Converter is quite accurate while converting PDF files to HTML pages, keeping the originality intact in terms of hyperlinks, images, bookmarks etc. After conversion, final HTML pages can be viewed in Firefox, Safari, Chrome, IE, opera and many more browsers. Final HTML WebPages are searchable in search engine process. Page range to multi-pages conversion available with it, also no further software such as Adobe required in addition to this. Keep the originality of the text. 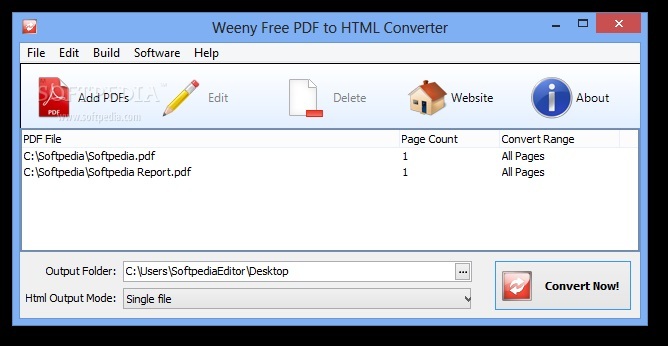 Weeny Free PDF to HTML Converter is batch processing software that converts pages in bulk. With the help of it, you can complete the conversion process in just a few clicks. Also, it can convert the encrypted PDF document to HTML files in just a few minutes of time. 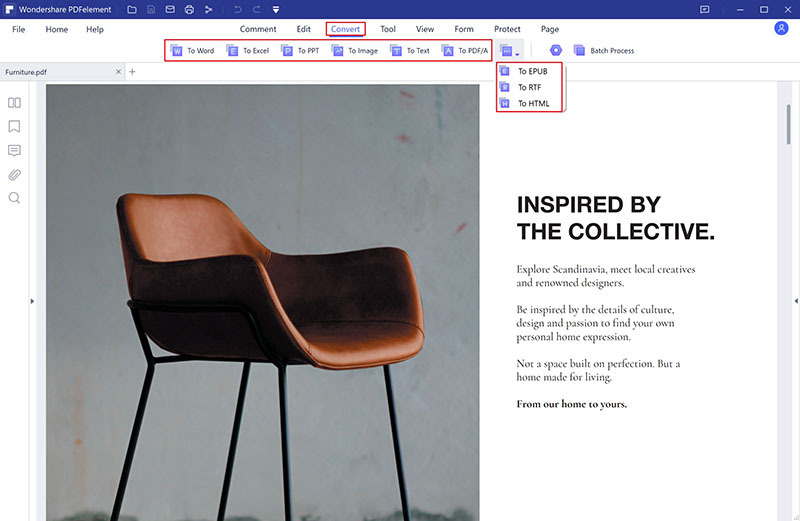 With it, you just need to choose the page, after that it will convert the pages automatically. No third party application or program required. It does support PDF encryption. Cons: This software does not support drag and drop facility. With the help of PDF2HTML converter you can convert your PDF files to HTML files in a secure way without the need of downloading any software; that is you can convert the files online directly without caring about any other issues such as cost, download or third party Softwares. During the conversion process keep a check over accuracy and speed. 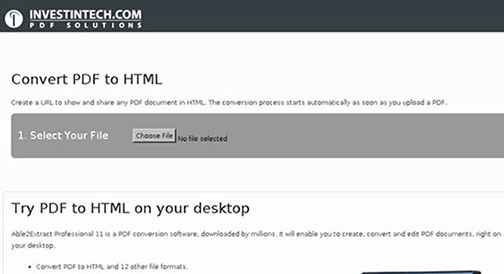 In just a single click you can convert your PDF files to the HTML format. It converts the files in fast mode; after the conversion file gets compressed into zip folder in order to reduce the size of your downloaded file. So just upload your file, wait for few seconds and you will get your converted HTML web page as per your requirement. With the help of it, you can change many files at once without concerning about quality of the content. After the conversion, it will convert the files into zip folder to make it easy to download final HTML page. 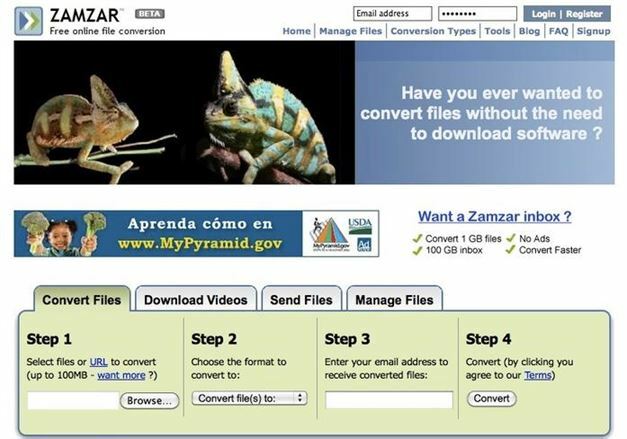 ZAMAR is an online PDF conversion tool, with step by step guidance and comprehensive details. Taking care of even small details such as headings, text, space, images so that final output will be good as per quality concern. You can view your final web page in any of the browsers. PDFOnline software authenticates the contents while converting files. During the conversion process take care of the graphics, designing of the layout, fonts, page count, Page fitting, tables etc. in order to get better final output and have a better user interface and experience. Investintech PDF to HTML used to create URL to show the preview of the document, convert the PDF file into the HTML instantly. It is a free service to use and processing is quite fast to use, so that will get the HTML page as fast as possible. At the end, you will have a good list of PDF to HTML conversion tools, with the help of which you will have new online web format that you can share anywhere easily and at your comfort. Also, in case you do not want to download these tools to your device then alternatively, you can opt for an online version of PDF converter, with which you just need to upload the file, and then the conversion takes place automatically. Lets you have a wonderful experience with the above-mentioned tools. PDFelement Pro also designed an application for Windows operating system called PDFelement ProPDFelement Pro. It supports Windows 10, Windows 8, Windows 7, Windows Vista and Windows XP. It converts the PDF file to editable formats such as Word, PowerPoint, HTML, EPUB, image, Text and Excel. With this program at hand you can still edit your PDF file by adding watermarks annotations and many others. Its inbuilt OCR technology enables you to easily edit all your scanned PDF files. If you are that kind of a person who likes protecting your data then PDFelement Pro tool is the right tool for you. 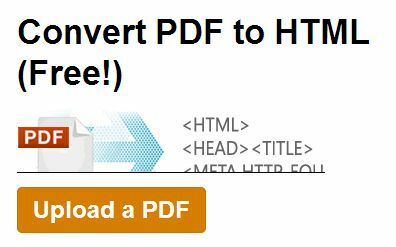 When you open the PDF HTML converter on your computer, you may be wondering on how to go about. 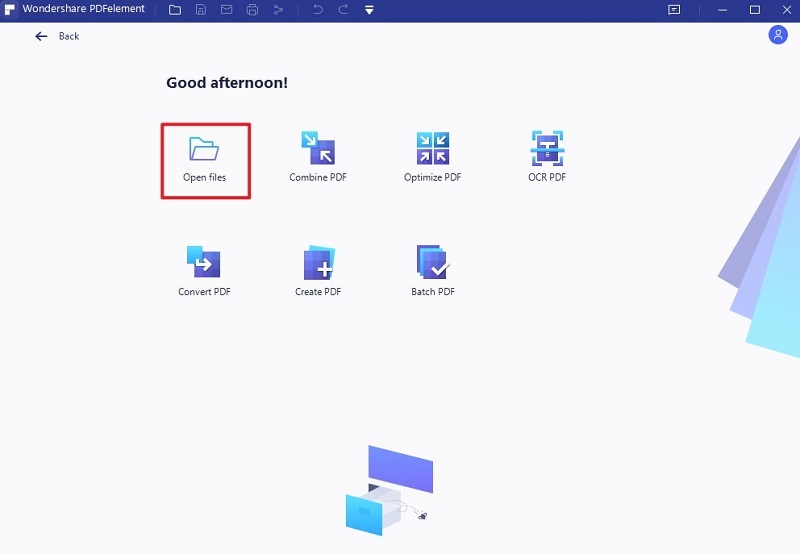 The first thing do is open the PDF file on this program by simply clicking the "Open File" button. Now go to Home Tab and hit the "To Other > Convert to HTML" button. Then a window will be activated, where you can specify the page range and destination folder. Click on "Convert" so that your document will be converted to HTML.